Stephen William Wilkins was born in Melbourne, Australia on 15 February 1946, seven years after his parents’ hasty emigration from Czechoslovakia in 1939 and transit to Melbourne via Trieste where they were married. His father Ken was a businessman and his mother, Charlotte, latterly became a secondary school teacher when Ken died in 1957. In his parents home town of Brno, his grandfather, Arnold Windholtz, ran a pharmacy (droguerie) and his maternal grand parents ran a liqueur factory. He spent his primary schooling days at Preshil Memorial School in Kew, which had very progressive ideas on education. His secondary education took place at Camberwell High School, where he completed his HSC studies in 1963. He completed his BSc (Physics/Mathematics, 1964-67) at the University of Melbourne. Major influences in choosing science as a career were an innate interest in experimenting with simple rigs and chemicals, a joy in the certainty of mathematics, and a fascination with physics sparked by the Professor Harry Messel summer schools that were televised in the early 1960s and which featured astrophysicists such as Professors Fred Hoyle and Herman Bondi. He began his research career at Melbourne University where he carried out his PhD under Professor JM Cowley, working in the area of diffuse scattering from alloys and the role of long-range interactions. His PhD thesis was entitled: ‘Correlations and Interactions in Binary Alloys’. From 1970 to 1971, during his PhD, he worked as a graduate research assistant in the Department of Physics, Arizona State University. Following his PhD, he was Operations Research Officer with the Gas and Fuel Corporation of Victoria (1972-73) and then spent the period 1973-74 working on theoretical problems in X-ray scattering and solid-state physics as a Visiting Research Scholar in the Physics Department at Imperial College (London) under Professor Norman March. Stephen Wilkins joined CSIRO, Division of Chemical Physics in 1975 as a Research Scientist to fill a vacancy created by the untimely death of Barrie Dawson, a leading crystallographer. He was promoted to Senior Research Scientist in 1978, Principal Research Scientist in 1983, Senior Principal Research Scientist in 1990 and Chief Research Scientist in 1998. At CSIRO he has worked on a range of theoretical problems in X-ray crystallography including quantum effects in the theory of atomic vibrations, the role of asymmetry in the problem of multiple-scattering (also called ‘extinction’) in structure determination from crystals, and also new approaches to the determination of the atomic structure of molecules from structure-factor magnitudes (also called the ‘phase problem’). This latter work rested on a powerful and very general branch of statistical inference known as ‘information theory’ which has the Maximum Entropy method as a cornerstone. The work of Dr Wilkins and co-workers helped to advance this methodology into the mainstream of crystallography where, when combined with Bayesian methods, it has now has become a very powerful technique for the structure determination of macromolecules, particularly in combination with multiple-anomalous scattering data (MAD). As a result of a serendipitous encounter at the International Union of Crystallography Congress in Hamburg in 1984 with his former lecturer from Melbourne University days, Professor Jimpei Harada (then of Nagoya University), Steve Wilkins was invited to make a Japanese Society for Promotion of Science Funded visit to Japan the following year to explore possibilities for Australian collaboration with the newly established synchrotron in Japan known as the Photon Factory. The resulting visit (which took place in November 1985), led to a formal invitation for Australia to build and operate a beamline at the Photon Factory. 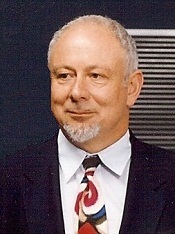 Following much lobbying among Government and the local scientific community, a multi-purpose powder diffractometer (called ‘BigDiff’), conceived by Steve Wilkins, was built at CSIRO in Clayton under his guidance. It was installed and operated at the Photon Factory in 1992 as the Australian National Beamline Facility (ANBF), where it continues to operate. A major contribution by Steve Wilkins and co-workers lies in the area of hard X-ray phase-contrast imaging where they have made seminal and pioneering contributions including the development of related practical methods and instruments that can use conventional (‘polychromatic’) X-ray sources. This has opened the way for the widespread implementation of hard X-ray phase-contrast imaging in research, and increasingly in industry and medicine. He has published more than 140 papers (including 100 in refereed journals, and more than 40 papers in books and conference proceedings) plus seven patents taken to PCT stage, of which five have been granted or issued in USA. He has two publications in the prestigious international journal Nature on X-ray phase-contrast imaging with citation numbers of over 500 and 300, respectively. In recognition of his standing in the field he has been invited to give over 50 Invited Lectures and Conference Presentations at international meetings. As summarised below Steve Wilkins serves on a number of local and international committees, especially relating to synchrotron-based activities, and has held a number of prominent roles in scientific societies. Steve Wilkins passed away suddenly, on 25 March 2013. He was about to deliver the first in a series of lectures on X-ray science to physics honours students at Monash University. Member, Advisory Committee Monash University Physics Dept. Wilkins SW, 2010, Personal communication.